I have to be honest. 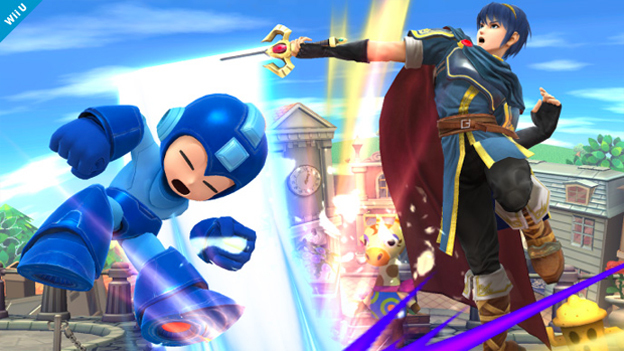 I don’t drool every time a Super Smash Bros. game comes out. In fact, rarely do I even pick up the game longer than a couple of hours. It’s always been fun, it’s always been enjoyable to play with my family, but it never pulled me in like many other fighters. So looking at it in that regard, Smash was not on my radar, and I feel bad for that, but only slightly. After all, it is totally on my radar and I (nor my family) couldn’t be happier. However, I cannot stress enough that the following review is not from a die hard fighter, but from the point of view of someone who just likes to smash other players. When I say that the game really feels like it was meant for every skill level of player, it’s also kind of an understatement. In my house alone, I had so many different aged players enjoying the game. It never felt like one person was more skilled than the other; it never felt like someone had an advantage over the other. I mean yes, some were playing who had advanced skill, but no one felt like the fun had stopped. When you factor in the varied controls people were using this only increases the “everyone plays” feel to the game. Using the Wii U gamepad feels very natural, and if you have some difficulty in controlling the game you can also adjust the button layout. The 3DS has also been included as an optional controller (as long as you have the Super Smash cartridge for your 3DS). In addition to these and the other traditional ways on the Wii U--eg. Pro Controller, Wii Remote, and Wii remote with Nunchuck--there is also the option of using the GameCube controller. This might not seem like much, but using the adapter to allow up to four GameCube controllers is probably the best thing to happen to this title, and no it’s not pure nostalgia making I say that. It just feels right. 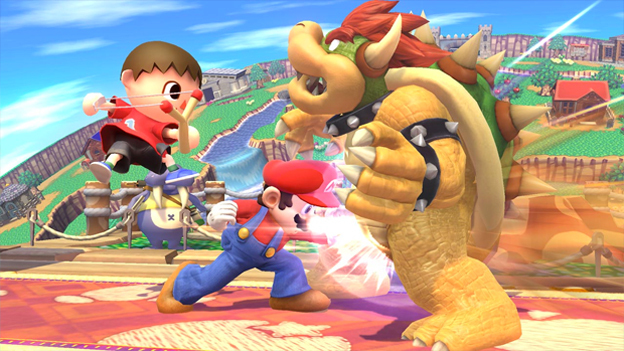 The roster for Super Smash Bros. is surreal. There are so many characters you get to play as. Ranging from the traditional combatants like Mario and Link all the way to someone you’d never assume to be that great of a fighter–Pacman. Let me tell you first hand, Pacman is a beast of a fighter. But in addition to the normal roster of character you start off with, there are a few surprises. I won’t talk about them all, but I have to mention one unlockable fighter in particular, Duck Hunt. When he was first announced I felt both giddy and questionable towards the inclusion. Well I have to say that aside from Luigi, Duck Hunt is my go to fighter in the game amongst the champions of Smash Bros. In addition to the unlockable characters and impressive startup roster, you can also play as your created Mii. With three classes to choose from--fighter, swordsman, and gunner--it offers quite a bit of customization for you to feel in complete control of how your fighting Mii will handle in the game. Changing up the special moves, the traditional fighting capabilities, and even the items the player wears are up to your own discretion. 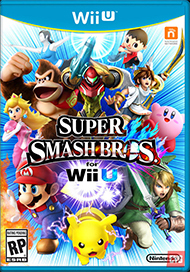 I would have to say if there was one thing Super Smash Bros. is this time around, it would be customizable. Because the customization isn’t just restricted to the Mii avatars you put in. It also holds true to the other characters as well. There is also a new mode in the game I enjoyed. It’s not Mario Party but it is a unique blend of the mode. For example you and three others set out on “game board” where you will acquire different powers and the like. If you happen to bump into another player then you get to smash it out. After you have completed 15-25 turns then you and the other players are in a battle royal free-for-all event to see who can come out on top. This mode was a lot of fun, but I think I would have liked a few other advancements in this mode, but I digress.